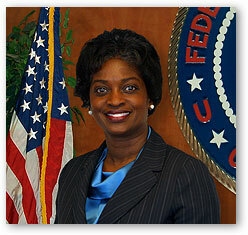 President Obama has nominated Mingon Clyburn to a full five-year term as an FCC Commissioner. A Democrat, Clyburn was appointed to the commission in 2009 to fill out the unexpired term of Republican Commissioner Deborah Taylor Tate, who had resigned. According to the ARRL Letter, FCC Chairman Julius Genachowski called Clyburn's renomination "an outstanding choice for the Commission and for the American people." Clyburn's nomination requires Senate confirmation. A committee report accompanying the National Defense Authorization Act for fiscal year 2013 calls on the Pentagon to "clarify and maintain policy oversight of MARS within the Office of the Secretary of Defense" and to appoint one person to coordinate the policies and activities of volunteer group across the Army, Air Force and Navy/Marine Corps. Currently, the Military Auxiliary Radio System operates independently in each service. 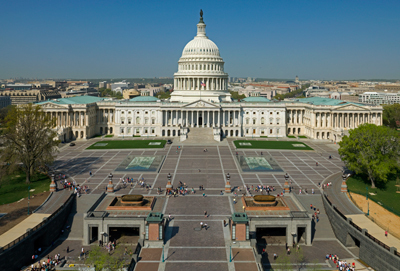 The ARRL Letter says the report from the House Armed Services Committee recognized MARS as "an important back-up" to government communication systems but noted that oversight is unclear due to a recent Pentagon reorganization and that there is a lack of standardization among the three MARS branches. Ohio has joined me roster of states that have incorporated into state law federal restrictions on zoning laws that involve amateur radio antennas and towers. Significantly, reports the ARRL Letter, Ohio's new law requires any agency that denies an amateur's antenna application to state the reasons for the denial and - on any appeal - the agency has the burden of proof, not the amateur. A Welsh ham who has been actively involved in charity work for years was honored for his efforts by being allowed to carry the Olympic torch on its journey toward the opening ceremonies of the 2012 London games. According to Newsline, William Williams, GW8TGS, carried the torch through the city of Aberystwyth for about a half hour on May 27th. CQ DX Hall of Fame member Baldur Drobnica, DJ6SI, has endured a bizarre series of events that started when he tried to operate his portable ham radio while on vacation in Greece. According to reports on Newsline and other sources, a police officer suspicious of the "strange noises" coming from Baldur's computer placed him under arrest. Initial reports were that he was charged with espionage, but Baldur said that did not happen. He was, however, charged with making radio transmissions without permission from the Greek government (both Greece and Germany are signatories to the CEPT treaty which permits amateurs from any one member country to operate in any other member country without special permission), operating a radio that covered more spectrum than only the Greek amateur bands, and refusing to turn over his equipment to the arresting officer. According to Baldur's attorney, the first two charges were dropped by the court after determining that Baldur was a properly licensed radio amateur. However, he was convicted on the third charge, which the attorney said would be appealed. Meanwhile, if you're visiting Greece, it might be best to leave your ham gear at home. AMSAT-UK is part of a group planning to build a set of cubesats that will test an autonomous on-orbit docking system based on XBOX Kinect video game technology. The group also includes SpaceRef.com and Surrey Satellite Technology, Ltd., and is based at the University of Surrey in England, home of the UOSAT amateur satellites of the 1970s and '80s. AMSAT News Service reports that the project - named STRaND-2 - will consist of two twin satellites that will be separated after launch. After each one is checked out, ground controllers will command them to dock with each other. They will then use components from a Kinect game controller scan the area around them and provide the satellites with 3-D spatial awareness to align with each other and dock. If successful, it could open a whole new way of building and maintaining satellites, including the potential for changing out modules in orbit or using multiple small cubesats to link up in orbit and build a large satellite by themselves. ICOM America has agreed to be the amateur radio transceiver supplier for the national Scout Jamboree next year at Summit, West Virginia. The company will also supply three permanent repeaters for the new Jamboree site, one 2-meter analog repeater, a 70-centimeter analog machine and a 70-cm D-STAR repeater. In addition, ICOM will supply ten loaner stations for use by Boy Scout councils around the country to use in promoting amateur radio. Details of the stations, and of the planned setup for the Jamboree, are still being worked out. VHF weak-signal authority and CQ Contest Committee member Gene Zimmerman, W3ZZ, became a Silent Key in early June. Gene was responsible for reorganizing the CQ World Wide VHF Contest into its current format and was a major behind-the-scenes player in the launch of CQ VHF magazine in the mid-1990s. From 2002-2011, he was QST magazine's VHF columnist. Professionally, Gene was a microbiologist with a long career at the National Institutes of Health, both as a researcher and administrator. For more on Gene, see this month's "Zero Bias" and "VHF-Plus" columns. July 1 is the effective date for the new Element 4 question pool ... the questions that make up the Amateur Extra Class license exam. 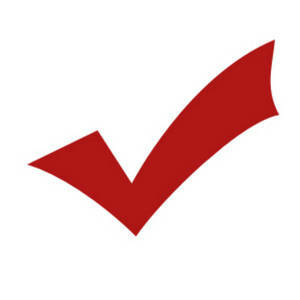 Each exam is made up of 50 questions selected from the pool of just over 700 possible questions. The new question pool will be used through June 30, 2016. Next up for replacement is the Technician Class (Element 2) pool in 2014, followed by the General Class (Element 3) pool in 2015. The Amateur Radio on the International Space Station program (ARISS) is looking for hams interested in volunteering as ground support crew members and technical mentors. According to the AMSAT News Service, ground support teams set up actual contacts between schools and other selected locations for contacts between students and astronauts aboard the International Space Station. Technical mentors serve as liaisons between NASA and the ground support teams. More information is available online at <http://www.arrl.org/ARISS-volunteers>. Hams interested in volunteering may e-mail <ARISS.Recruit@verizon.net>. The Dayton Amateur Radio Association says that over 24,000 people attended the 2012 Dayton Hamvention (R), and that both attendance and vendor sales were up over 2011. Meanwhile, the Ham-Com hamfest in Plano, Texas in early June was plagued with two power outages, a short one on Friday and a longer one on Saturday. Many attendees went home and many vendors started packing up during the second outage, which began around 2 PM and lasted about an hour and a half. CQ Communications, Inc. has launched an online newsletter for and about the amateur radio industry. Named the "CQ IndustryInsider," it is edited by Jason Feldman, who currently works with both Popular Communications and WorldRadio Online. The newsletter reports on news and trends in the hobby radio marketplace, as well as company news and marketing tips. Anyone who works in the amateur radio, scanning or monitoring industry and is not currently receiving the "IndustryInsider" may contact CQ Advertising and Marketing Director Chip Margelli <ads@cq-amateur-radio.com> to ask to be added to the mailing list. Join WRO-Pop'Comm Editor Richard Fisher, KPC6PC/KI6SN, for our live, monthly Internet chat session this evening, Sunday, June 3, at 8 p.m. Eastern time (0000 UTC) at <http://www.WorldRadioOnline.blogspot.com>. Hope to see you there.